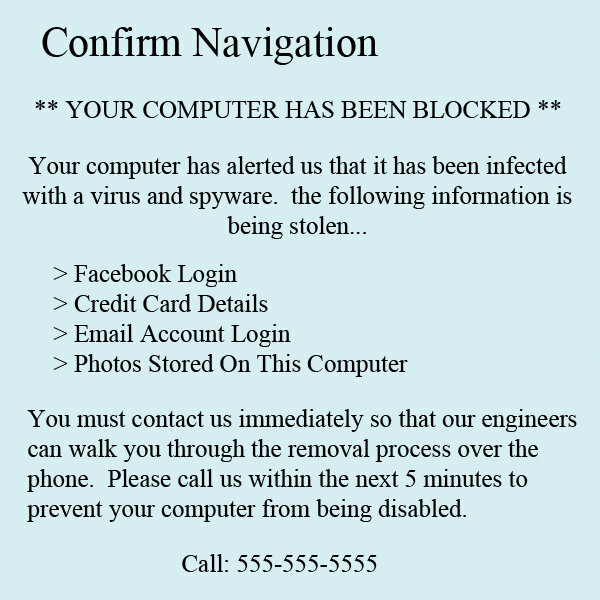 If you get one of the numerous scareware pop-ups that are circulating on the Internet (see photo at left) that say your computer is infected with malware and that you must call to get it unblocked, don’t click on the X to close it. That usually doesn’t work. Instead, press the control key, the alt key and the delete key at the same time. 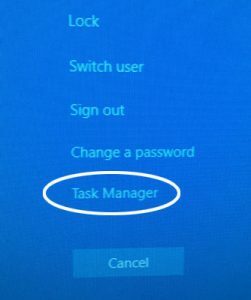 The task manager has several tabs at the top. Make sure you’re on the applications tab. 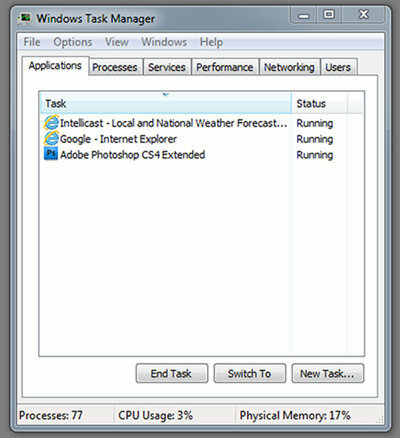 From this screen you will see all of the applications that are running on your PC. Click on these applications one at a time then click on “end task.” Sometimes you have to do this several times to get them all turned off. Now restart your computer. Most of the time this will solve the problem. If it doesn’t, then you have a deeper problem and you should scan your PC with your antivirus program. 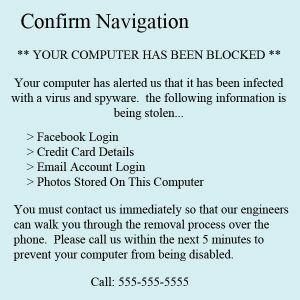 You might also download and scan with Malwarebytes. You can download this software for free from my website from the Computer Repair Downloads page. You can save it to your desktop and use it as a stand alone antivirus program to use when you have problems or you can buy the paid version which will scan your PC automatically for you.